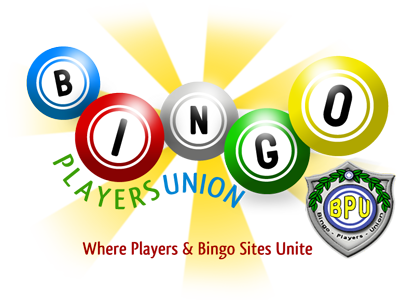 BEEN PLAYING AT BINGOHALL.COM FOR ABOUT A YEAR...BEEN NOTICING SAME WINNERS WINING OVER AND OVER DAILY...AND EVERYDAY.....WAS TOLD THEY WERE JUST LUCKY STREAKS...THEY THINK I AM DUMB?? YEAH LUCKY STREAKS HAPPEN..BUT WHEN SAME PEOPLE WIN AND WIN..THEN WIN ALL THE JP'S AND ALL THE PROMOS..SOMETHING AIN'T RIGHT........I HAVE SPENT ALOT OF MONEY AT BINGOHALL...AND HAVE NEVER WON ENOUGH TO CASH OUT...TRYING TO FIGURE OUT WHO YOU GOTTA KNOW AT BINGOHALL.COM TO WIN???? Hi Shooter. This is a common complaint at many sites. It was always one of my biggest complaints LOL. For a long time we have been trying to figure out what happens. Sure the odds are with those who buy more cards, BUT it is still hard to watch the same people win and win while some of us fund and fund. It always helped me to take a break for a while.. possibly play at another site or something for a while. Bottom line is I was just never one of the "frequent winners". I may have gotten two wins from any particular fund but that is it. I don't think we should look at the particular site for these problems, BECAUSE they happen at ALL sites. I have always thought and still do that this is a software thing. I believe the random number generators are in order, that leaves the cards issued to be a matter of concern. We have read information concerning tests on most frequent numbers called. It may be time to concentrate more on how the cards are issued, and IF there is a way an individual can be dealt cards that have the most frequently called numbers on them. Most sites have a card change option. We will be beginning a new year soon and with that, I believe my point of interest will be what causes frequent winner syndrome. There has got to be something more to it than "luck". Sorry you feel the way you do about a site that you obviously did enjoy playing at. Here's hoping things will change for all those who see the same thing you do at many different sites. If you have concerns that a particular site is "rigged" RUN LIKE HELL! Our guts sometimes know more than our heads do!